Set within the devastated city of Eight City, the Eight Rangers protect the city and go against the evil Dark Kuruseido. 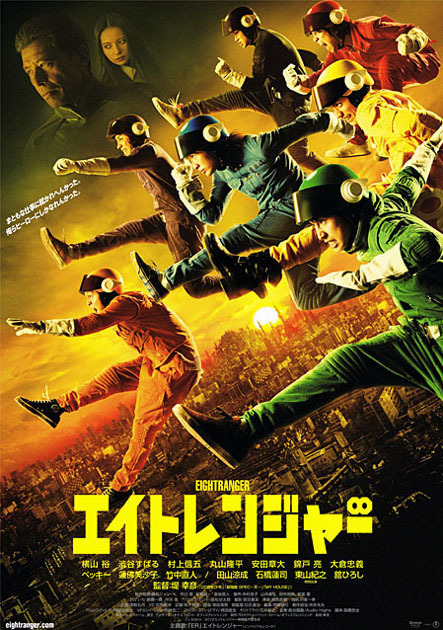 Movie is based on live performances by boy group "Kanjani Eight". The performance was first shown in December, 2005 at "Kanjani Eight Xmas Party," in which the group members did a parody of popular Super Sentai Series. New stories were merged into their future concert tours. Filming begins March 6, 2012 and finishes mid April, 2012.